Moscow Ballet Soloists visit all cities on the 2018 tour dancing, teaching, and inspiring American children about the Dove of Peace. Dance with Us Ballerinas teach, rehearse and inspire 6000+ local student dancers in Host Dance Studios every year on the US/Canada tour. 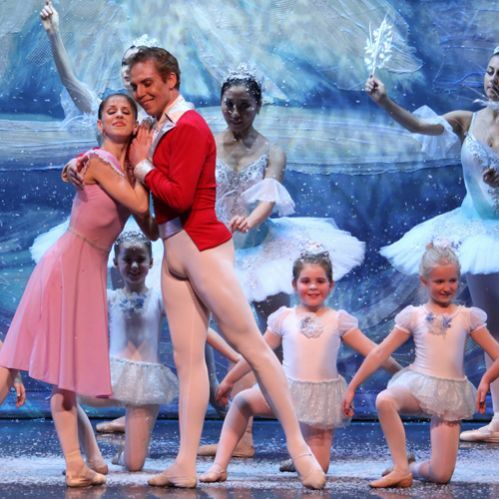 The aspiring young dancers perform on stage side-by-side with the professional company of 40 members. New Horizons Ballerinas share fascinating Russian cultural immersion sessions, pro bono and from coast to coast, using interactive exercises which develop healthy diet, movement and creative expression habits for over 6000 children to date. 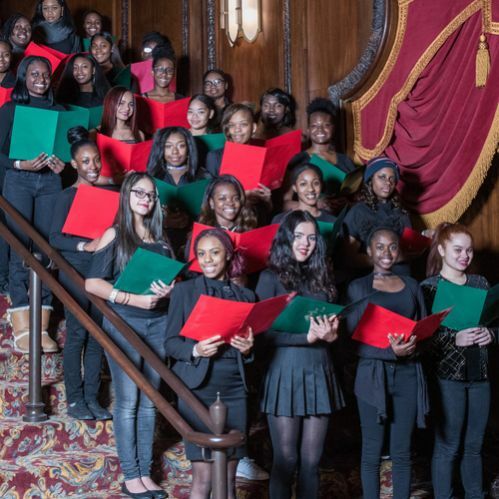 Musical Wunderkind – Choirs accompany the company live for the “Waltz of the Snowflakes” and welcome patrons to singing repertoire in venue lobbies. Fine Art Program brings ballerinas and fine art students together for the rare opportunity to draw, shoot, and paint the ballerinas’ finely tuned musculature in schools such as SCAD, MICA, Syracuse Fine Art program, all pro bono. Cinderella Around the World was developed in conjunction with Moscow Ballet's full-length production of Cinderella. 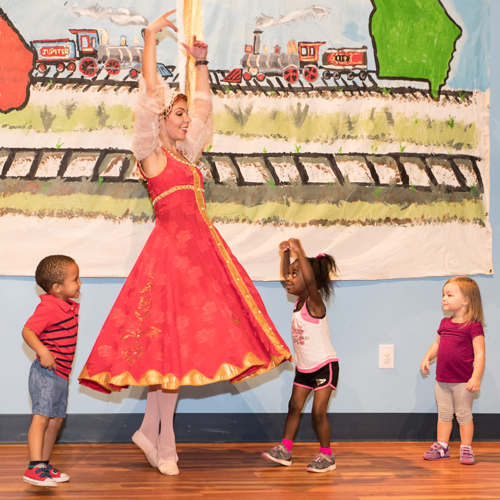 This dance and literacy program combines Cinderella stories from diverse cultures with music and dance instruction to enrich the language arts curriculum for elementary school children. Launched at the Conte Community School in Pittsfield, MA, the program ran over a ten weeks and featured Russian, Korean, Chinese, and West African dancers and musicians who were brought in to conduct activities during and after school. 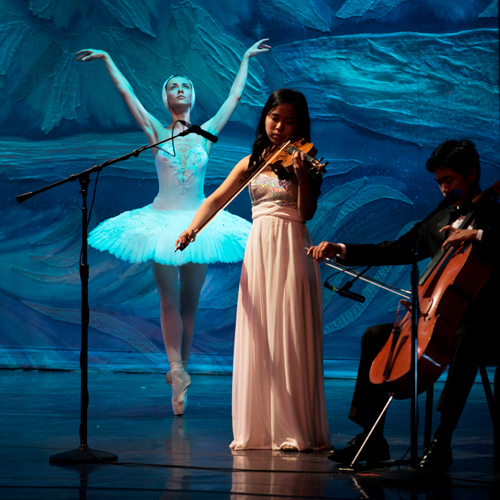 Intensives and the Swan Lake programs offer a host of technique classes, repertory and performance, and choreography workshops. Segments of the full-length ballets are taught. If a ballet school has a relationship with a children's museum a combined event can be coordinated. Moscow Ballet is Recipient of a Direct Federal Grants for Emergency School Aid for the reduction of minority isolation (ESAA), The Comprehensive Employment Training Act (CETA) for on the job training in arts and education and the Hartford Foundation for Public Giving, which helped fund four pilots for PBS television. The company has also worked with school systems to create tutor training programs supported by 21st Century Learning Center (CCLC) federal funds in San Antonio, TX, Dallas, TX, Americus, GA and Jackson, MS. In 1986, Moscow Ballet producers toured ABT’s Prima Ballerina Cynthia Gregory in the “Celebration Tour” which championed the “Just Say No” campaign for children, First Lady Nancy Reagan was Honorary Chair. Children’s TV programs were produced and aired on PBS stations and GM sponsored the educational program New Horizons which was presented over a semester in 13 public elementary schools in San Antonio. On a collegiate level, Moscow Ballet producers Talmi Entertainment presented the “First International Glasnost Festival Tours" 1987-92 which starred artists from the Bolshoi, Kirov and other world class ballet companies. The tour included symposiums, film screenings, poetry readings, Master Classes and more for students and the public in universities including Dartmouth, Yale, Middlebury, and Vanderbilt. Commitment to delivering hands-on programming to American children began in 1972 when Moscow Ballet producers, then directors of Connecticut Dance Theatre, invited Karel Shook, co-artistic director of Dance Theater of Harlem, to work with Hartford, CT’s North End Dance Troupe. Shook invited several students to study at DTH on scholarship. Among them was young Charmaine Hunter, an extremely gifted dancer, who went on to become Dance Theatre of Harlem’s 2nd Prima Ballerina and star of Arthur Mitchell’s The Firebird. Christmas cheer... brilliance... and a floating jump and...bravura expertise....[also] locally based, teen violinist Annelle Gregory with an expressive account of Saint-Saëns score.